The safety of our customers is very important to us. This is why we have created this page to inform you of any current product recalls and provide you with general safety advice for using your BMC bike. Every BMC bike comes with a user guide. If you didn't receive a user guide when purchasing your BMC bike, please contact your BMC retailer immediately. We recommend that you read the user guide carefully and keep it in a safe place for later reference. All the information contained in the user guide relates to the set-up, technology, care, and maintenance of your BMC bike. Please pay attention to the information provided. A lot of it is safety-related. Ignoring the information can lead to serious accidents or, under certain conditions, to financial losses. We particularly recommend that you read and pay close attention to the chapters, 'Before your first ride' and 'Before every ride' prior to using your bike for the first time. Modern bikes are high-tech products. Just because you have a wrench in your toolbox at home does not mean that you should carry out maintenance and repair work on the bike yourself. The maintenance and repair of BMC bikes requires experience, as well as specialist knowledge and tools. You should therefore hand over your BMC bike to a BMC specialist for any service, maintenance, or repair work. As described in the user guide, we recommend that you carry out a brief safety check before each ride. Do not ride the bike if you discover one or several problems with it during the safety check. 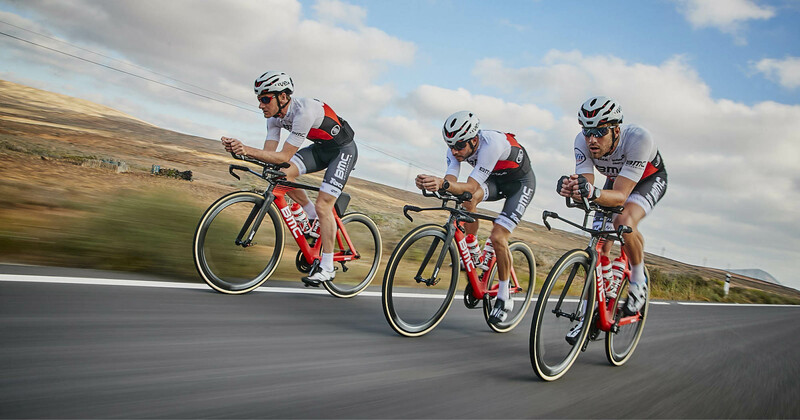 Let a specialist BMC retailer check your BMC bike for you. Even when performing your own regular safety checks before each ride, you should still take your BMC bike to be checked and serviced regularly by a BMC specialist. The more frequently you use your bike, and/or the harsher the environmental conditions (dirt, rain, salt, etc. ), the more frequently the bike should be taken for this kind of servicing. As a fundamental rule, we recommend that whenever you ride your bike, you wear a suitable helmet which is appropriate to your requirements. Depending on the type of bike and style of riding, it might be appropriate to wear additional protective clothing (e.g. gloves, knee pads, shin pads and elbow pads, a back protector, etc.) under certain conditions. Ask an expert to advise you when purchasing protective gear so that you get the gear that's right for you. The respective national guidelines on bike reflectors and lights vary greatly. When riding your BMC bike, it is your responsibility to make sure it's equipped in line with your country's applicable guidelines. If you are uncertain as to what these are, please seek the advice of your BMC specialist. As a general rule, BMC recommends that you use a white front light, red back light, and suitable reflectors at all times, at the very least at night and at dawn and dusk.